Speculation: The act will limit charitable giving. No one knows the answer to this question – in fact, I suggest that no one knows if we’ll ever know! The effect will not be apparent soon, and when it arrives will very likely be buried amid other economic factors: a continued strong economy (and sustained donations) may suggest to some that there is no effect, while a troubled economy might exaggerate any interpretation. Trying to ferret out the law’s effect might be akin to trying to figure out which specific drink caused your hangover. Since a conclusive answer to the overall effect may be hard to come by, maybe the best strategy for scrambling nonprofits is to understand that itemization (and charitable giving) will continue to be a case by case decision for every donor. There’s nothing new about that – the key, as always, will be to send clear messages and build strong relationships (though perhaps with a bit more urgency than ever before). The tax law might leave a hole in your fundraising goal – but it’s a hole that can be filled by your good spadework. Fact: Tax rates have gone down, but many fewer donors will itemize their deductions. The maximum tax rate has dropped from 39.6% to 37%, with all other brackets dropping as well. The standard deduction for married couples has been doubled to $24,000 with individuals increased to $12,000. The net effect is to slash 21 million taxpayers from claiming the charitable deduction. Two-thirds of middle-income households will no longer claim a charitable deduction. And for households in the $86,000 to $150,000 income bracket, only 15% will claim a charitable deduction, down from 39%. We don’t know the answer, but most likely, yes, as the game has changed for them. On their face, changes in rates and standard deduction may seem unlikely to drive such significant changes in behavior. But consider: the personal exemption of $4,050 per person has been eliminated. In addition, deductions for state and local taxes are capped at $10,000, which will reduce taxpayers’ incentive to deduct for state and real estate taxes. When you add all of this up (decreased rates, doubled standard deductions, less robust deductions), the unique implications for each taxpayer make it very hard to speculate on the overall effect. What’s clear, however, is that nonprofits that fail to adequately make the case for their mission will no longer have the safety net of tax deductions to help motivate donors. In 2018 and beyond, charities must step up their efforts to refine and communicate their message, so that charitable giving continues to offer donors valuable feelings of meaningful impact. Fact: The (already dead) “death tax” has died — again. If you still thought that estate tax had any influence on charitable giving, the Trump act should change that once and for all. This tax only ever applied to a small fraction of the top 1% — those whose estates were going to exceed the $5.5 million ($11 million for a couple) that the old law allowed them to pass untaxed. According to the Internal Revenue Service, of 12,411 estate tax returns filed in 2016, only 5,219 required a payment. Because the new act doubles the tax-free amount to $11 million per individual ($22 million per couple), the estate tax will trouble an even smaller fraction of the top 1%. As a development officer, it’s unlikely you’ll ever have the chance to provide advice (let alone motivate a gift) based on this tax – any family with $22 million in assets likely knows all they need to know about estate taxes. Speculation: Donors who itemize their deductions will “stay the course” on giving. This is where the good news lies (that is if you can make good news out of “a lack of bad news”): for donors who still itemize their deductions, there have been no changes that should disrupt their giving patterns. 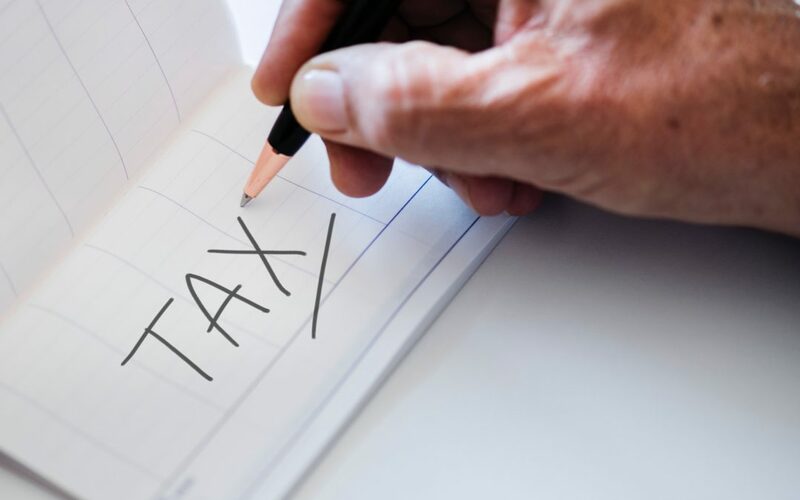 The law did add some charitable benefits for taxpayers who itemize (cash gifts up to 60% of adjusted gross income can now be deducted – up from 50% — and the Pease Amendment which limited deductions for high-income taxpayers have been repealed. Vanguard Charitable provided an excellent detailed summary of the law’s quantitative effect). Fact: Donors, and nonprofits, are likely to get creative. Bottom line: the ultimate cost (or benefit) of the tax law will be difficult for individuals to prognosticate — there are just too many potentially beneficial or detrimental moving parts. Amid all the speculation, however, one thing is clear: nonprofits should get ready for a potentially wild ride as all this shakes out…and donors who care about those nonprofits should do their best to ease the effects through their continued generosity. This article is informational and is not intended as tax or legal advice. Please consult your professional advisors for how this information is applicable to your personal situation.